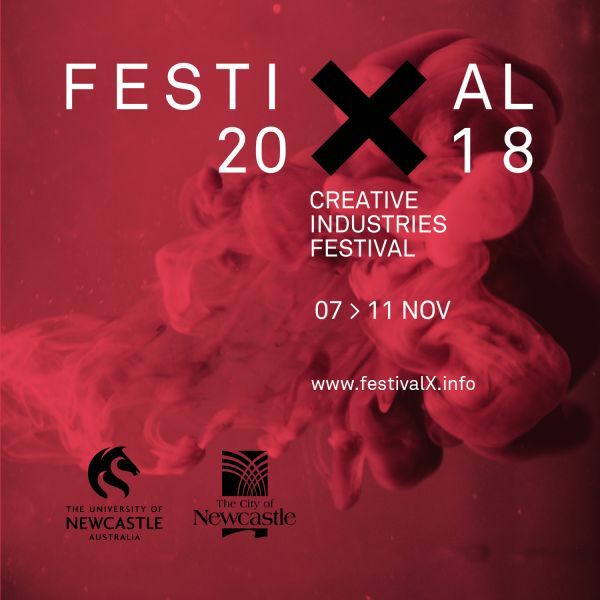 Short film screenings, concerts, pop up music ensembles and more will enliven Newcastle’s CBD, as students from the creative industries come together to exhibit their final works in a first-of-its-kind week-long festival – Festival X, where X marks the spot. Running from 7-11 November, Festival X will incorporate the annual Newcastle International Animation Festival, showcasing some of the world’s best bite-sized animations including a ‘Local Produce’ session featuring local animators. Festival X will also include a commercial thread – Ricochet Songs, with Triple J host and artist Kristy Lee Peters, aka ‘KLP’, bringing a group of artists, producers and songwriters together for a week of creativity in Newcastle. Director of Festival X and Lecturer with the School of Creative Industries, Dr Simon Weaving said Festival X offered community, business and industry a chance to engage with creative industries education. “Festival X is a really exciting manifestation of the creative industries at the University of Newcastle. It’s a chance for the community to see what’s at the cutting edge of creative technology, to talk to the creative practitioners of the future, and to wander between diverse experiences in the heart of the beautiful city of Newcastle,” Dr Weaving said. Dr Weaving said the inclusion of a commercial thread as part of the format in Festival X’s inaugural year was hopefully a sign of much more to come. “We’ve been working hard under our Baraya record label, launched earlier this year, to form mutually beneficial industry partnerships. Hosting KLP’s Ricochet songwriting workshop in Newcastle as part of Festival X is one fantastic outcome of building those partnerships and we’re hoping to have more to announce soon,” Dr Weaving said. Held from 7-11 November, the line up offers a variety of enriched experiences including virtual reality and inspiring TED-style talks. Friday 9 November, will see a range of pop up musical ensembles from regional folk to gypsy jazz and pop music, starting 5pm. Festival X will conclude on Sunday 11 November at the Newcastle Conservatorium of Music, with an expression of music by Australians, connecting the audience to sounds and colours of this land. Sponsored by the City of Newcastle, events range from free to ticketed. To view the program or to register visit www.festivalX.info.